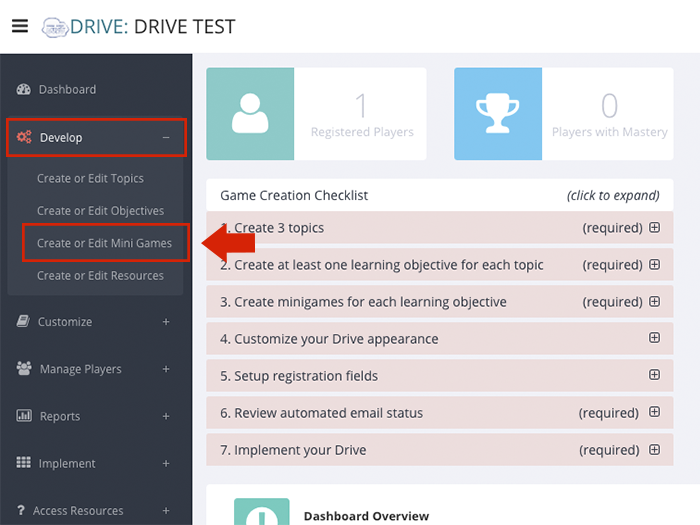 To create a valid Drive game, you need at least three topics in your game. The maximum number of topics we recommend is seven. Select Develop from the left-hand navigation pane. 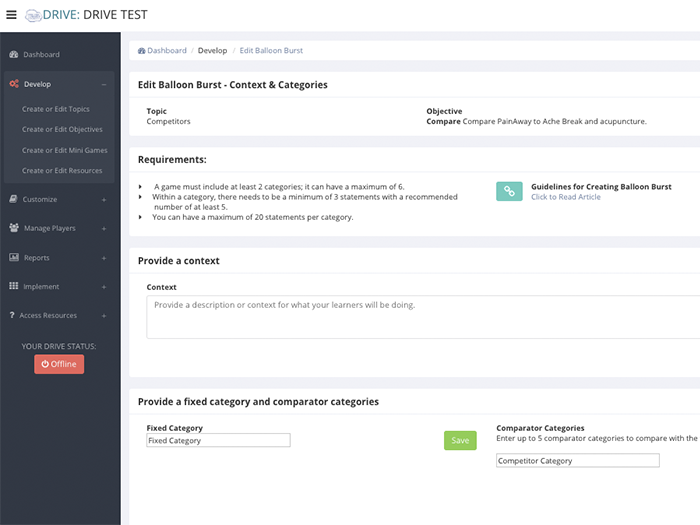 Expand Develop to reveal sub-menu options and select Create or Edit Topics. 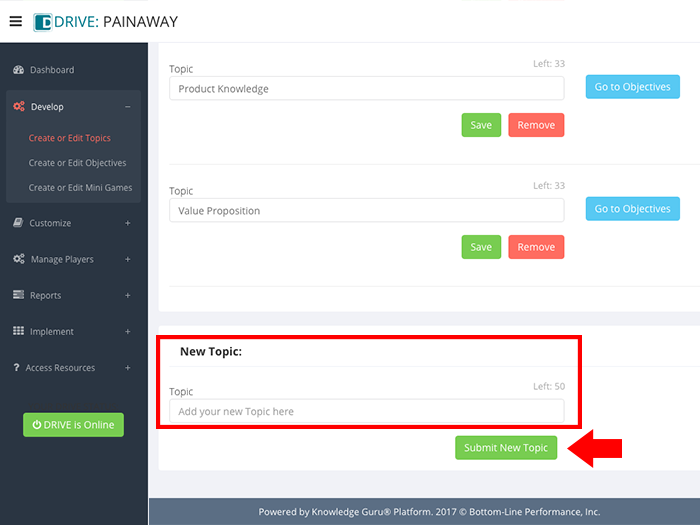 When the wizard appears, enter a topic name in the field labeled Add your new topic here. Your new topic will appear. You can do one of two things: 1) Click GO TO OBJECTIVES to create objectives for that specific topic, or 2) Create another game topic using the New Topic field that has been created for you. 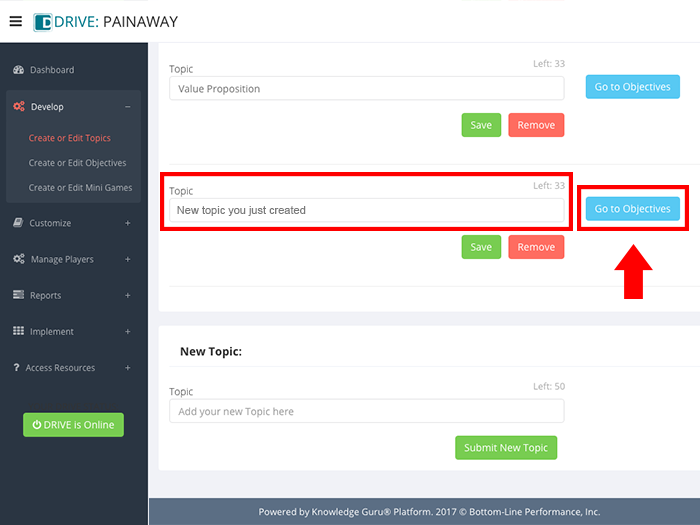 To edit a topic, simply change the text for that topic and click SAVE. To remove a topic, click REMOVE under the topic you want to delete. Removing a topic will also remove any objectives and mini-games associated with it. If you’re sure you want to proceed, click REMOVE TOPIC. Each of the eight mini-games has unique content requirements that will align with the learning objective you created. Consequently, each wizard provides you with different prompts to follow and fields to complete. 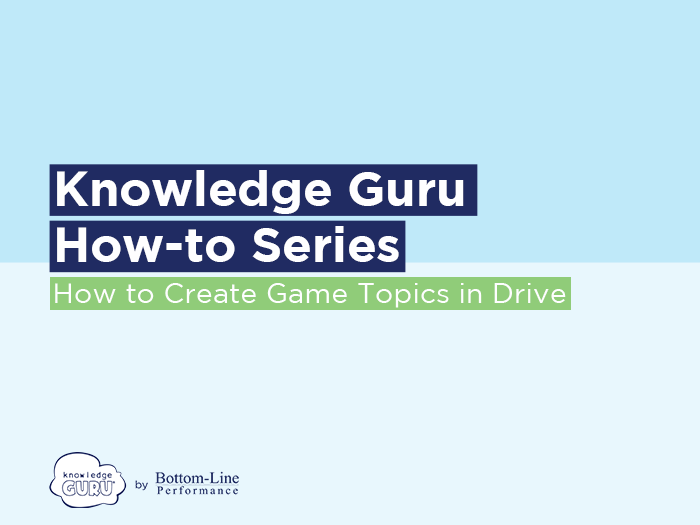 Before you can create a mini-game, you need to define a topic and a learning objective associated with that topic. 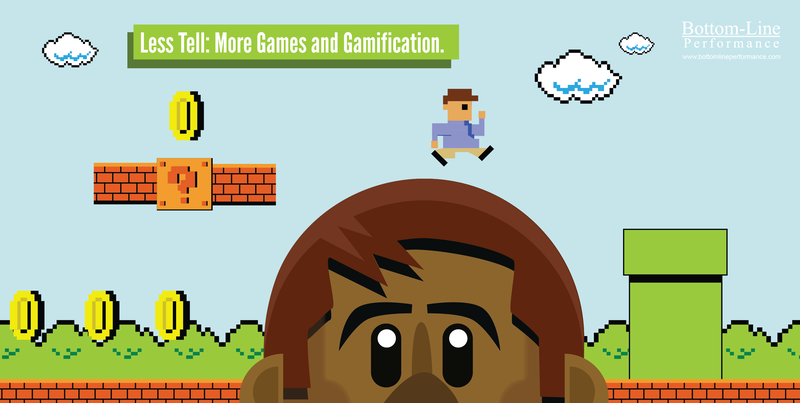 A mini-game can only be associated with a single learning objective. 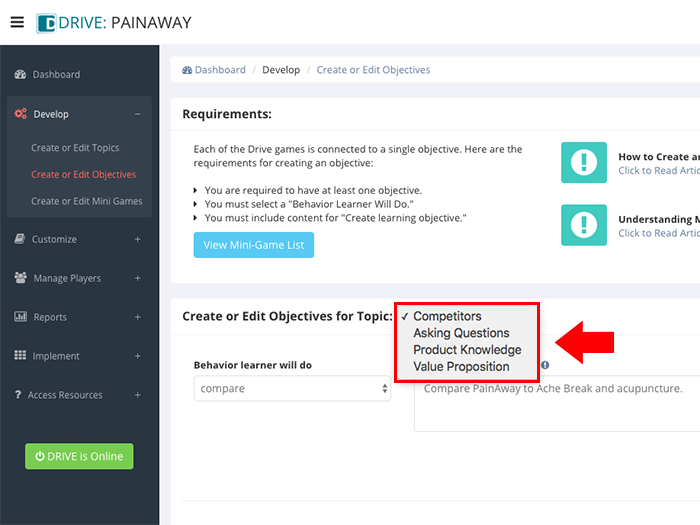 If your topic requires more than one learning objective, you must create a mini-game for EACH learning objective within the topic. 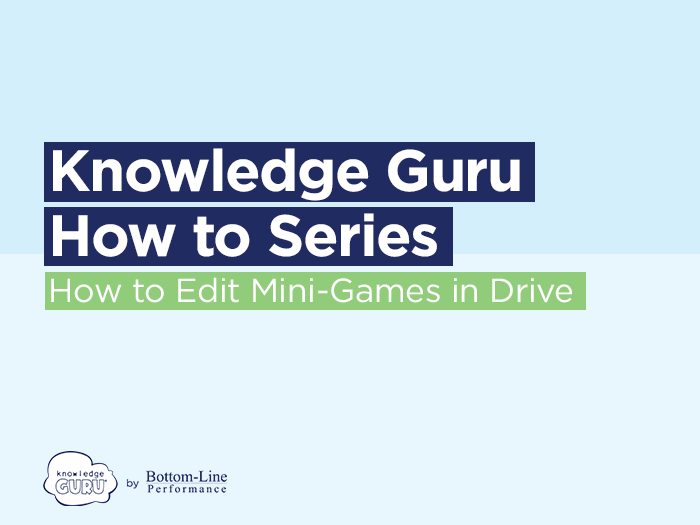 Play each mini-game before authoring a Drive game experience. Doing so ensures you understand the player experience and the kind of content you will see within a particular type of mini-game. 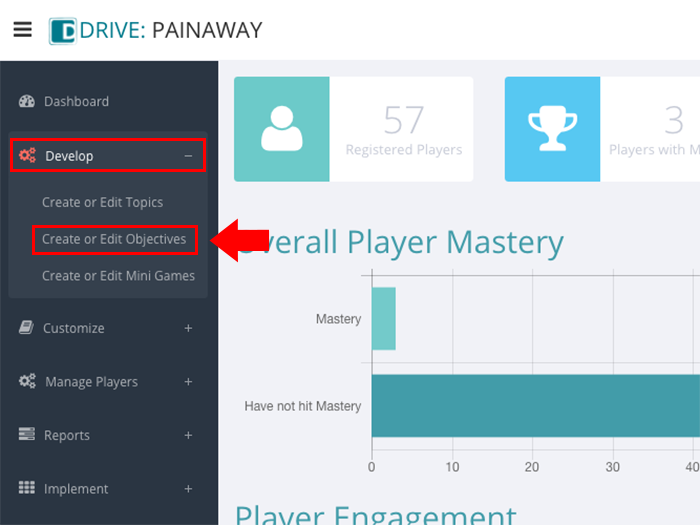 As you create your game, use the Preview Mini Game functionality within each mini-game authoring wizard to check out your game and verify that it works and looks as you envisioned it would. Do not make your Drive game experience live without previewing all the games you have created. Select Develop from the left-hand navigation pane, expanding this option to reveal sub-menu choices. 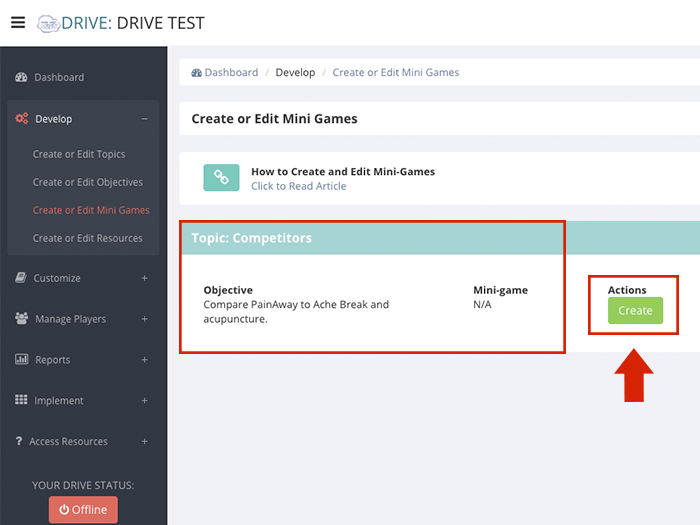 Select Create or Edit Mini Games. Review the topic and objectives listed on the screen. Click CREATE next to the one for which you want to create a mini-game. A screen labeled Choose Mini Game will appear. The mini-games available will be highlighted. The choices available depend on the behavior you specified within your learning objective. From the mini-games available to you, click the one you want. This action opens the wizard for that mini-game. Proceed to input content, using the wizard associated with the mini-game you selected. I chose a mini-game and then realized it wasn’t the one I wanted. How do I change it? Go back to Develop in left-hand navigation, expand it, and then select Create or Edit Mini Games. 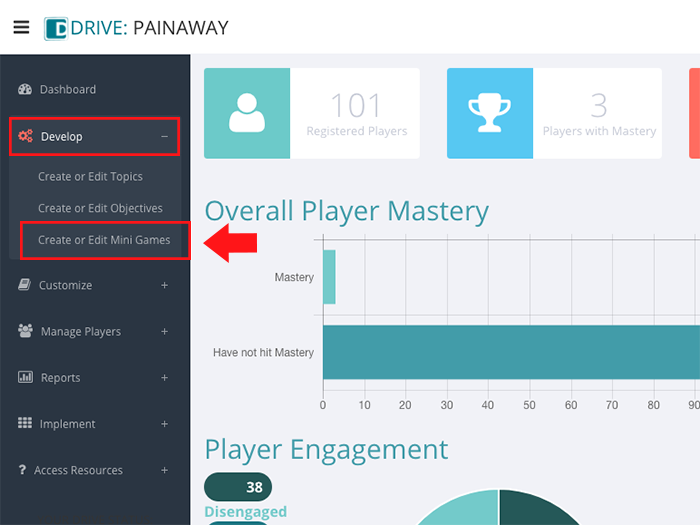 Choose REMOVE next to the topic/objective combination whose mini-game you want to delete. You will be asked to confirm your decision. Once you do so, you will once again see CREATE. You can then proceed through the process of selecting another mini-game. I only have one mini-game available to me based on the behavior I specified in the objective, and it is not the one I wanted. What do I do? Most of the time you should have two options available to you. However, there are a handful of behaviors for which only one mini-game is appropriate. 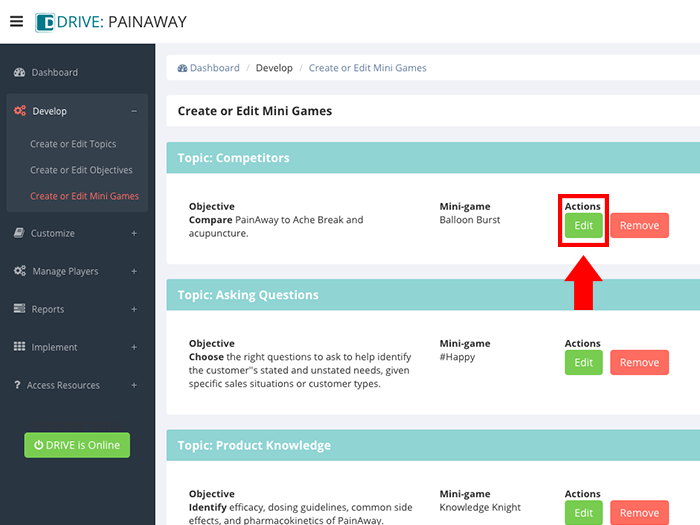 The list of behaviors that are associated with each mini game is available here. 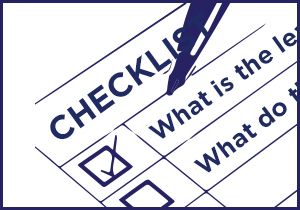 You may want to review this list and consider how you can re-phrase your objective. I entered content, but it disappeared. What happened? 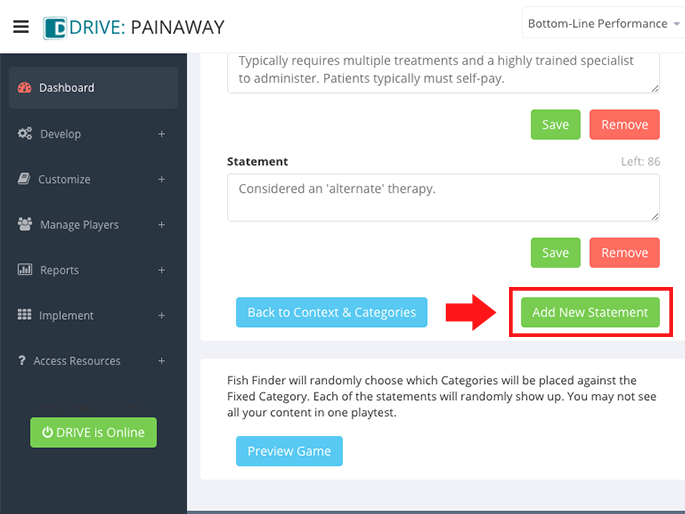 Because of the logic required within the mini-games, one content entry must be saved before you move to a new field. 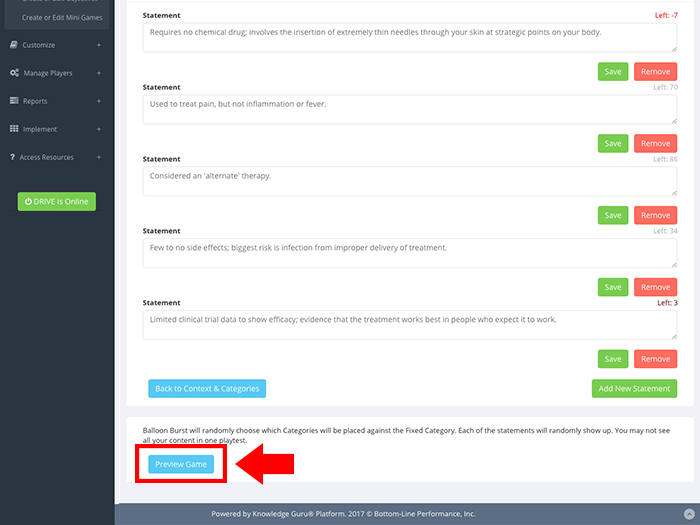 Failure to use the SAVE button next to each field where one appears is the typical cause of content seeming to get “lost” or failing to be retained. Watch carefully for SAVE buttons and click them wherever you see them to avoid losing content you create. Find the topic, objective, and corresponding mini-game you want to edit. 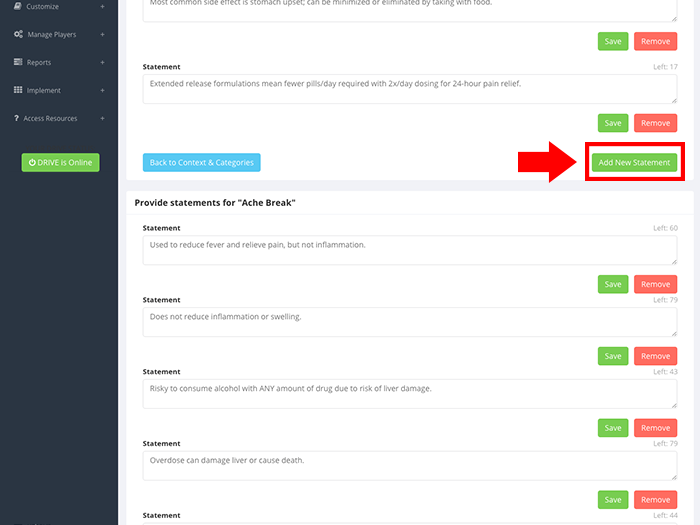 Click EDIT (listed under Actions column on the screen). Within the wizard, enter your desired changes, being sure to click SAVE wherever a SAVE button is provided. 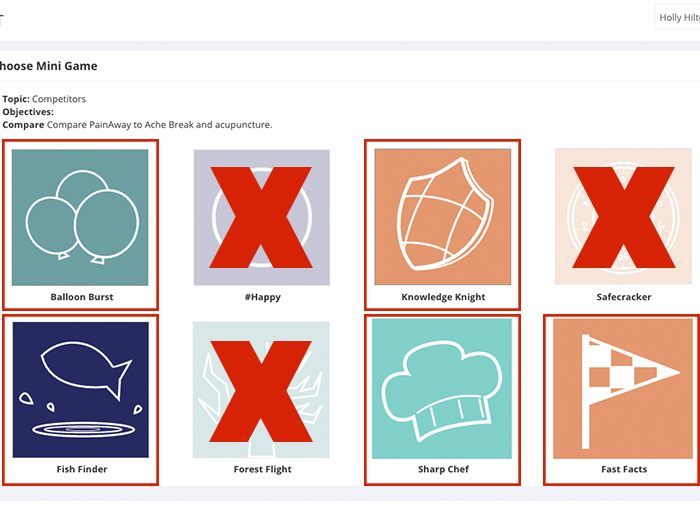 Failing to do so may result in loss of content changes as many of the fields in the authoring wizards require a SAVE action after each entry. 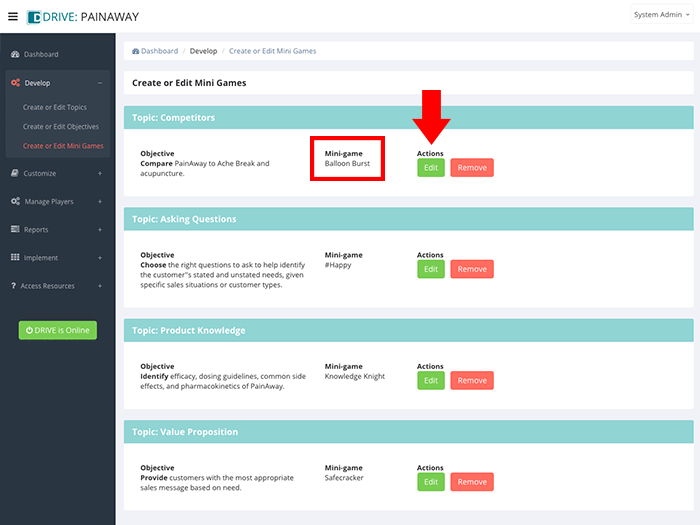 Find the topic, objective, and corresponding mini-game you want to remove. Under Actions, click REMOVE. Be aware that selecting this option removes all content associated with the mini game. Knowledge Guru Drive currently includes eight different mini-games: Balloon Burst, Fish Finder, #Happy, Forest Flight, Sharp Chef, Fast Facts, Knowledge Knight and Safecracker. 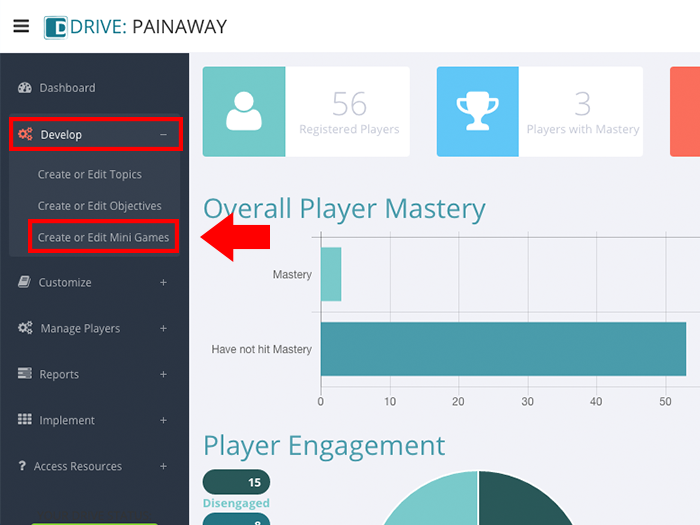 Depending on the content of the questions you create, each mini-game can target certain levels of Bloom’s Taxonomy. The six levels are knowledge, comprehension, application, analysis, synthesis, and evaluation. 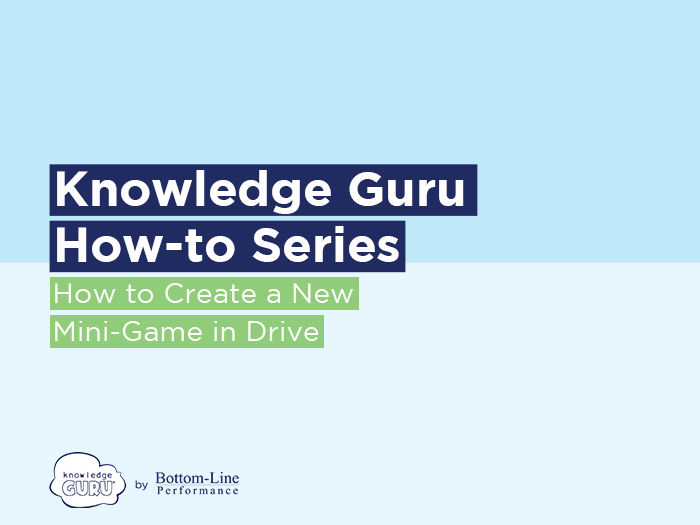 The mini-games you can use will depend on the objectives you create for your topics and where those objectives are classified according to Bloom’s Taxonomy of learning. 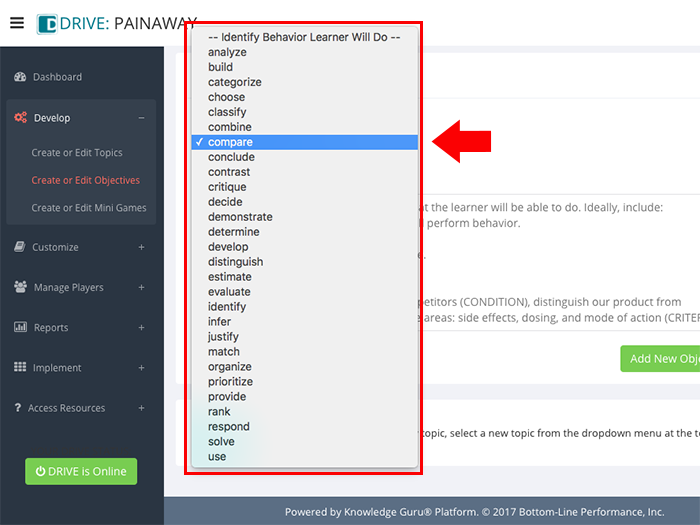 Please see this blog post for an explanation of creating objectives and the mini-games associated with the different levels of Bloom’s Taxonomy. The table below summarizes each mini-game. Burst the balloon by correctly responding to statements provided. Each correct response inflates the balloon. Delayed responses or incorrect responses deflate the balloon. A game must include minimum of 2 categories and maximum of 6. A category must include minimum of 3 statements (we recommend at least 5) and maximum of 20. Correct responses inflate the balloon. Incorrect responses deflate the balloon. 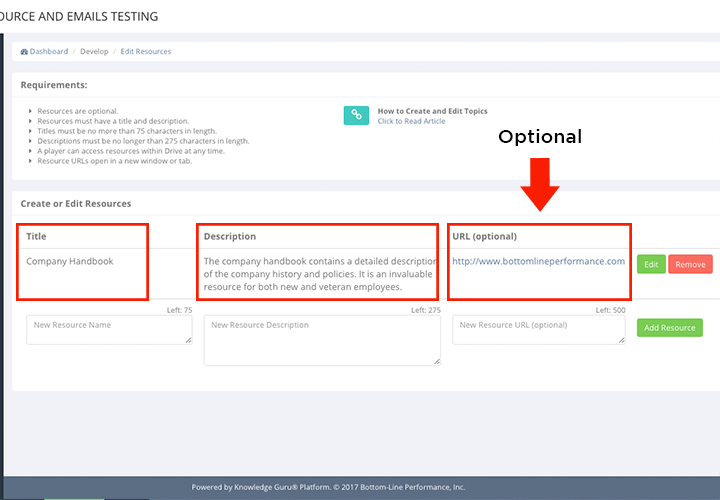 Levels 1 and 2 Given a feature, associate the feature with the correct product. Given a variety of features, compare COMPANY product to its competitors. Given specific situations and your knowledge of policies, procedures, or guidelines, determine whether to act or not to act. Catch 100 pounds of good fish; avoid catching bad fish. 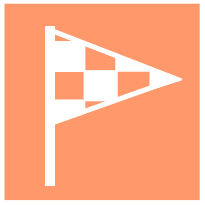 Fish Finder enables learners to compare one fixed item or category to up to seven other items or categories in some fashion. Each instance of a Fish Finder game will include a minimum of four statements for players to consider and a maximum of eight statements, depending on the size of the fish they catch. Players’ fishing license lets them catch 100 pounds of fish. They gain points for catching ‘good’ fish and lose points for catching ‘bad’ fish. Players learn about the categories they must distinguish between, then watch the water for splashes. They have 10 seconds to select a splash. The bigger the splash, the bigger the fish… and the greater the amount of points they will potentially gain or lose. After tapping or clicking a splash, players see a fact and must select the category it belongs to. A correct response fills up their progress bar with good fish; an incorrect response fills up the progress bar with bad fish. 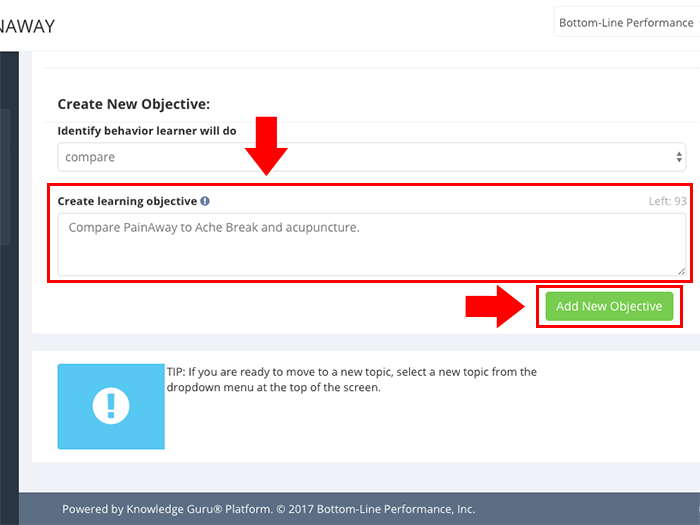 Levels 1 and 2 Given a feature, associate the feature with the correct product. Grow happiness in the person you are responding to. This person will always be one specific role (customer, supplier, employee). 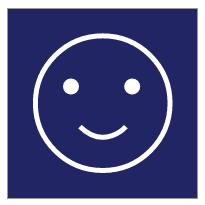 Once you hit PLAY, you get a “context” that explains an issue, situation, or background on the person you need to make happy. You then see a statement from the target person you are trying to make happy, along with a panel of six responses. You swipe between panels to see all the responses. You review each response and decide whether each response is a good one or a poor one to make. If your respond correctly, you grow happiness. If you respond incorrectly, happiness declines. If the response is a bad one, tapping it causes you to lose a life (e.g. an unhappy face fills in). You see an explanation of why the choice is a bad one. If you tap a response you shouldn’t, you lose the game. Two inappropriate taps cause you to lose the game. 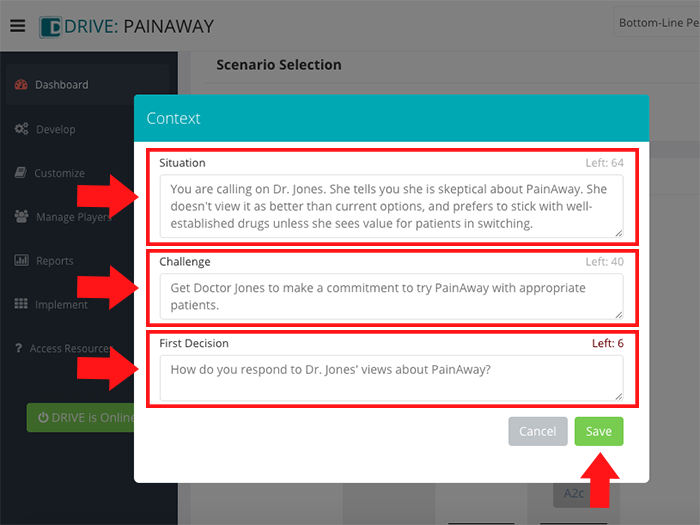 Level 3 Given a variety of contexts and customer inquiries or statements, choose appropriate responses to make. Given a specific context and employee inquires or statements, choose appropriate responses to make. 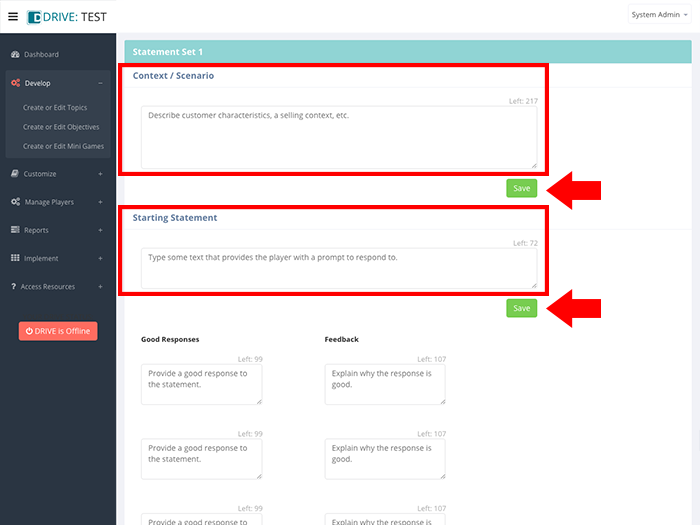 Given a specific customer objection, choose the appropriate response(s) to make. Scare away the dragon. 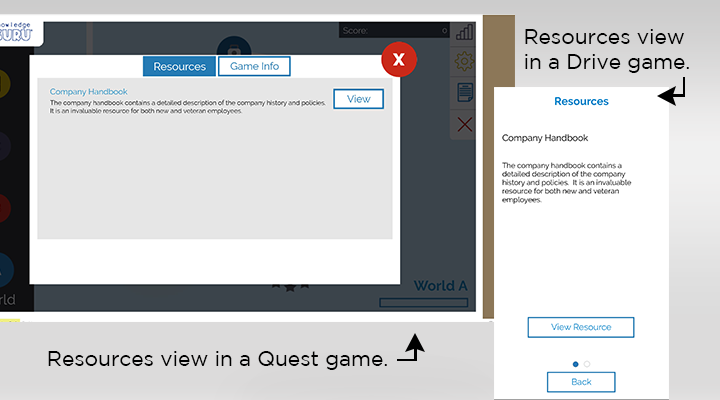 Each instance of the game consists of three unique questions that allow for multiple-choice, T/F, select all that apply, or answer in order responses. 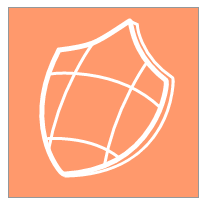 Correct responses earn players an item that helps empower the knight. Incorrect responses produce items that are not useful. If players miss two questions, they lose the game. (The dragon frightens the knight away). 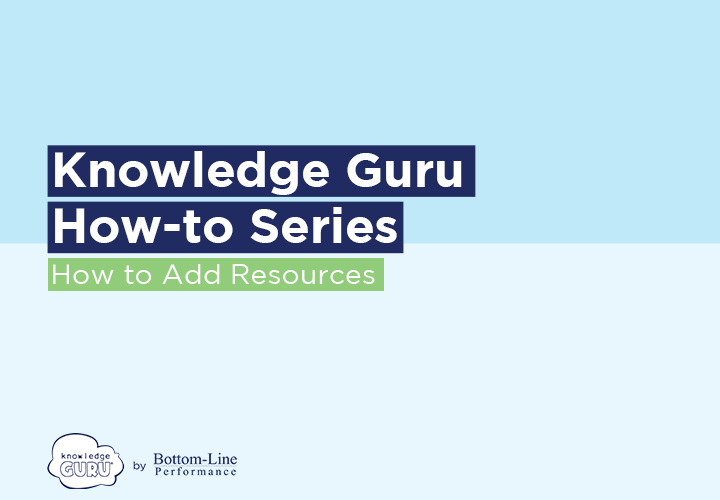 Levels 3-6 Given background information, identify the appropriate next step in the XYZ process to take. Given data, analyze the data and form a conclusion. Given a specific customer objection, choose the appropriate response. Cook a delicious dish. Each instance of the game consists of three unique questions that allow for multiple-choice, T/F, select all that apply, or answer in order responses. 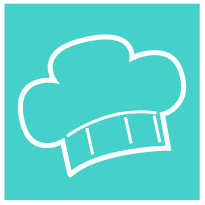 Correct responses earn players an item that helps the chef select a good ingredient. Incorrect responses produce ingredients that are not useful. If players miss two questions, they lose the game. (The chef cooks a not-so-delicious dish). Win the race. 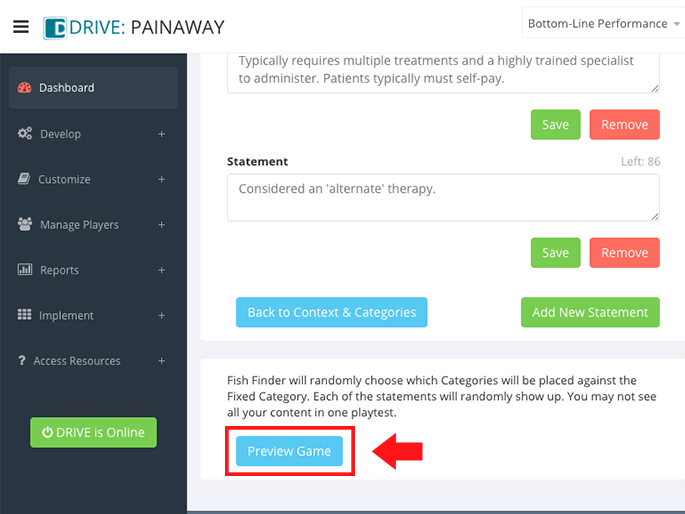 Each instance of the game consists of three unique questions that allow for multiple-choice, T/F, select all that apply, or answer in order responses. Correct responses earn players an item that helps the racer drive a successful lap. Incorrect responses lead to slow laps. If players miss two questions, they lose the race. Unlock the safe before the alarm sounds. 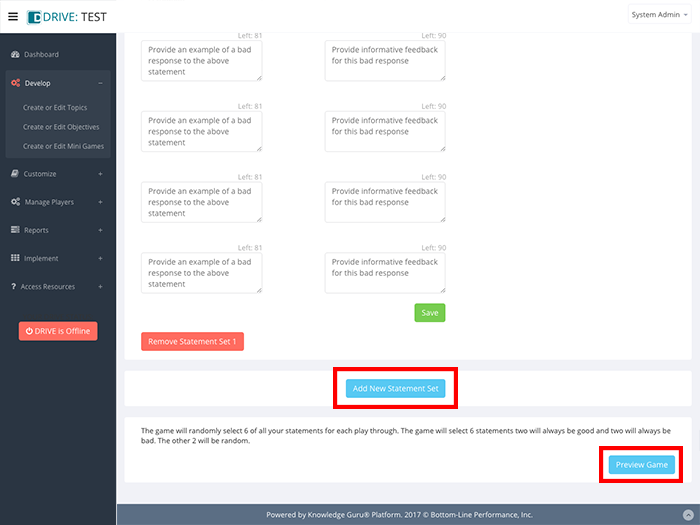 Players must choose specific items (benefits) that link to the prompt (aka “need statement”) then link those choices to another set of items (features). 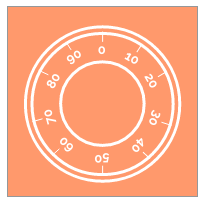 Each decision turns the safe dial and enables player to proceed to next decision. After decisions are made, the player attempts to open safe. If all decisions are correct, the safe opens and reveals an appropriate sales message to deliver to customer. If one or more decisions are incorrect, the player must attempt to correct errors. Correct choices remain locked in when player goes back; only incorrect choices will be flagged. Player then gets a second attempt to crack the safe. 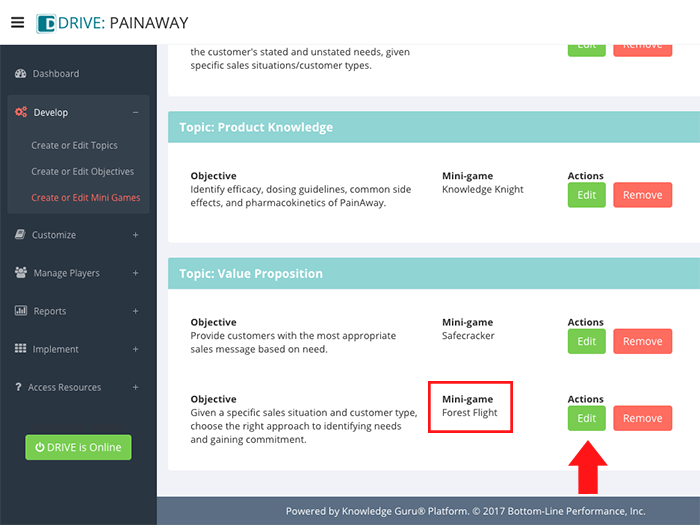 If this attempt fails, the players loses, but will see a summary of the need, appropriate benefits, and correct features. 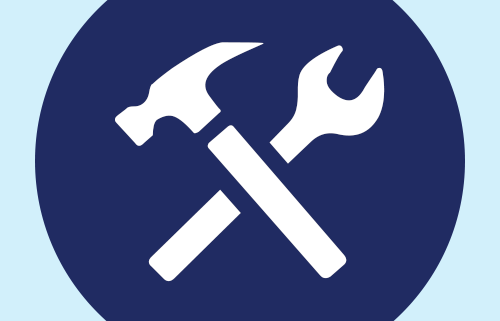 Levels 3-6 Given a specific customer need, choose the appropriate benefits and associated features to present to the customer. Escape the forest before darkness descends. Good decisions are your quickest path to safety. Bad decisions lead to dead ends. Each game must include two scenarios, but three is recommended. 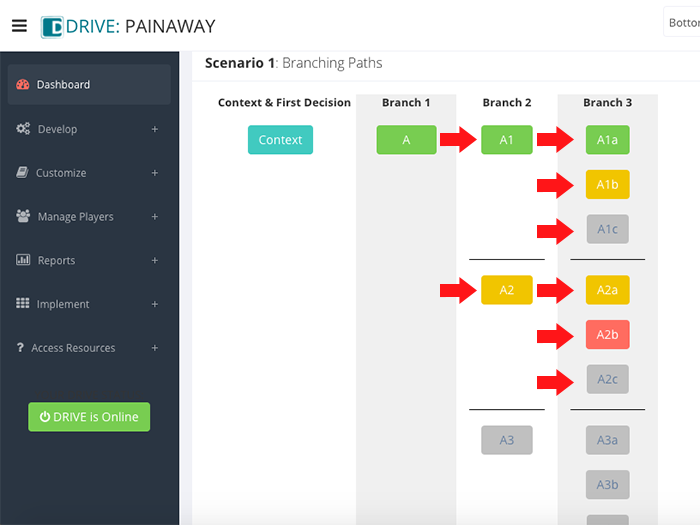 Each scenario must include two branches but can have three. Player drags hiker to the trail marker to begin. At each stop on the journey, player drags the hiker over different path options to reveal possible responses. Player releases the hiker over the path he wants to choose. Each decision leads to another stop on the journey, where another decision can be made. 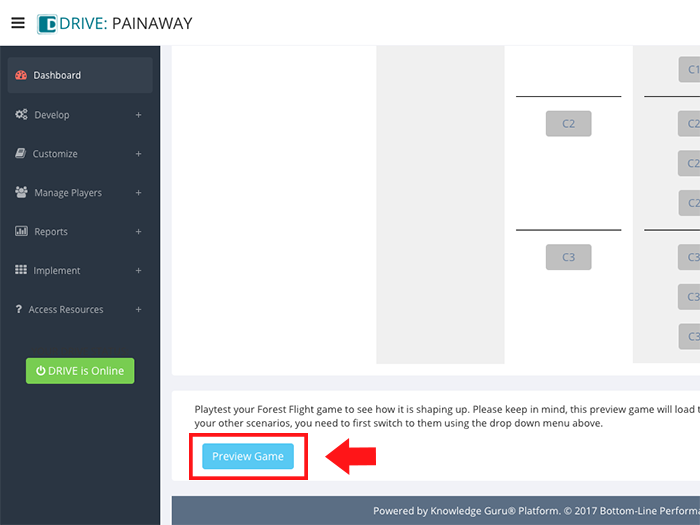 At any time, player can tap or click the Owl icon to review the situation or challenge. Eventually, player either gets out of the forest or reaches a dead end depending on what decisions are made. 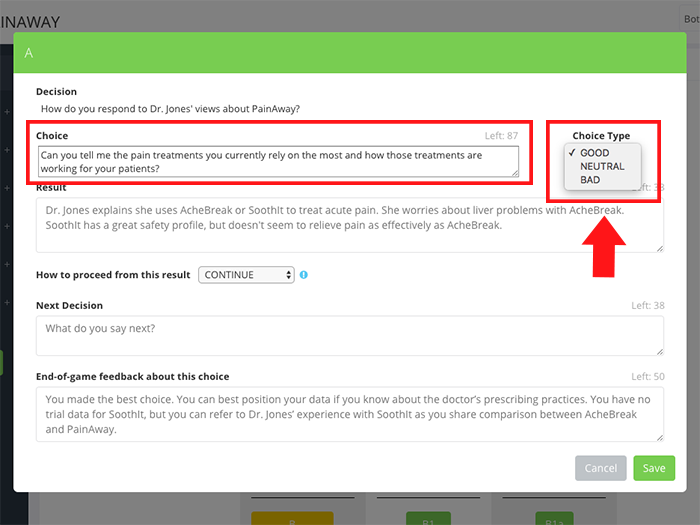 Player receives feedback on the decisions they made and receives a score. Player can retry the game again in the practice area or wait for another Daily Three. 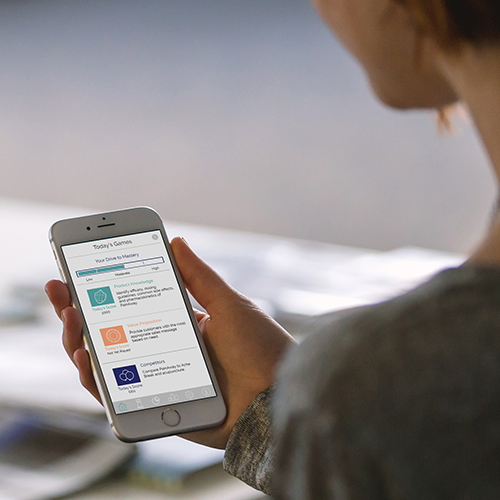 Levels 3-6 Given a specific sales situation and customer type, choose the right approach to identifying needs and gaining commitment. 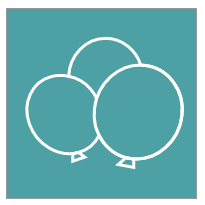 Balloon Burst enables learners to compare one fixed item or category to up to five other items or categories in some fashion. Balloon Burst is a great game for comparing your product to competitor products. Expand Develop option within left-hand navigation pane, and select the Create or Edit Mini Games. 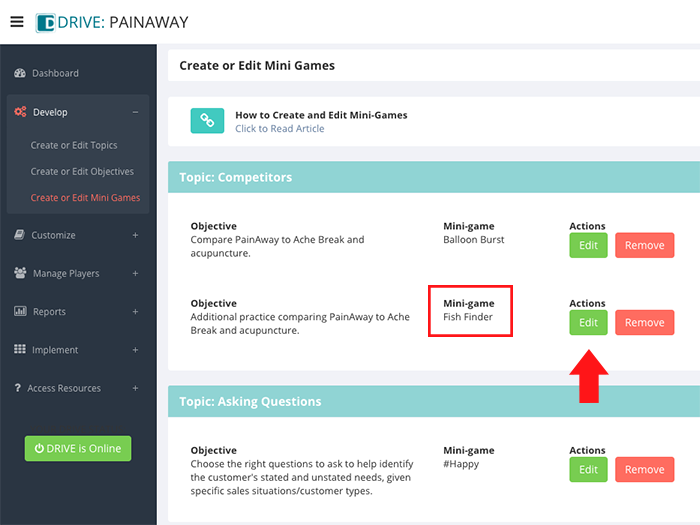 Find a topic that uses Balloon Burst as its mini-game and click EDIT. 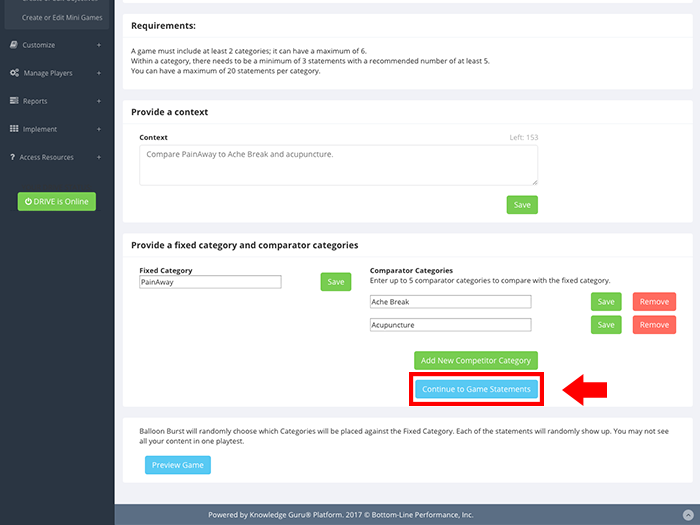 Enter a Comparator Category and click SAVE. 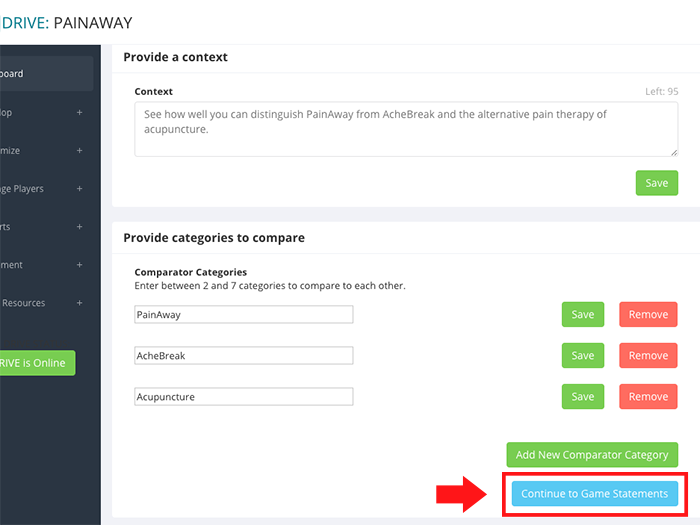 To add another Comparator Category, click ADD NEW COMPETITOR CATEGORY. 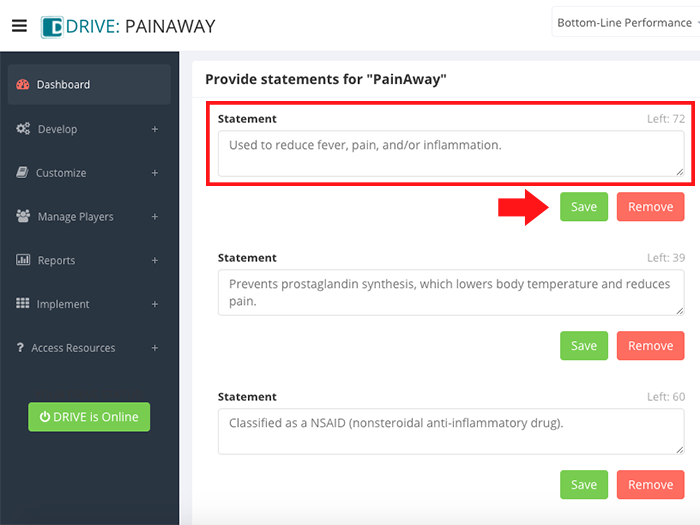 Provide statements for your Fixed Category by typing in true statements that are unique to your Fixed Category where it says Placeholder Statement. You do not want any of the statements to apply to anything other than the Fixed Category. After you enter each statement, click the SAVE button next to it. 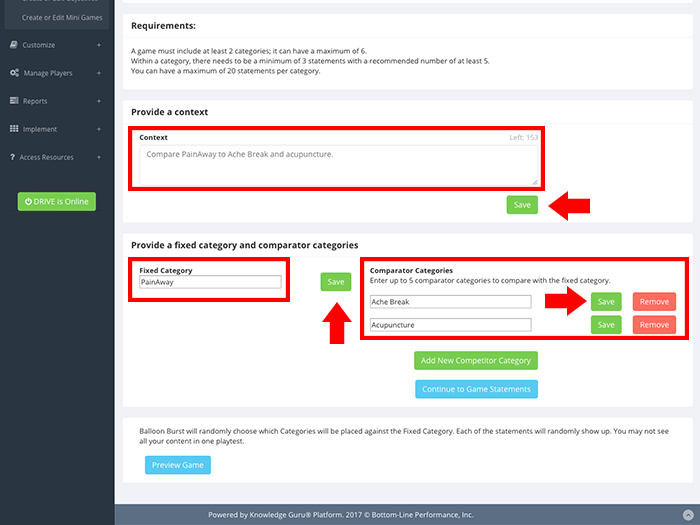 Repeat steps 9-11 for each of your Comparator Categories. 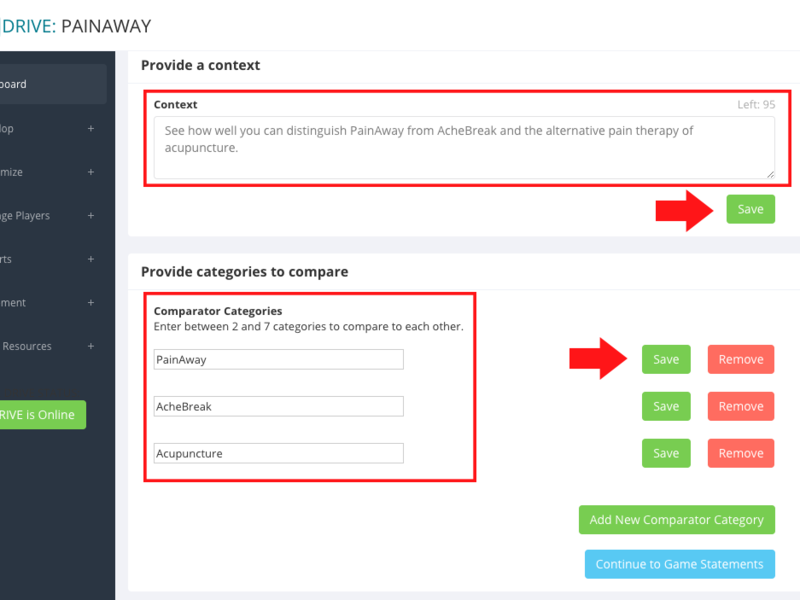 The same requirement for your content applies here: the content you include must be unique to the category for which you are creating it. 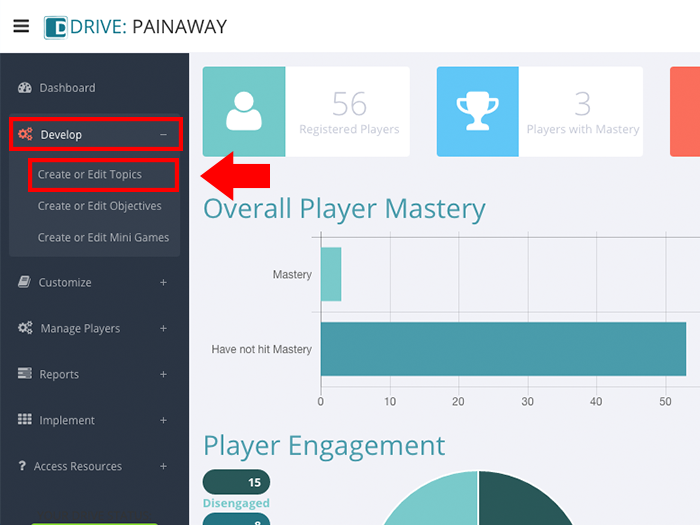 The best games will have sufficient unique content to create multiple play-throughs that let players see some new content on each play-through. 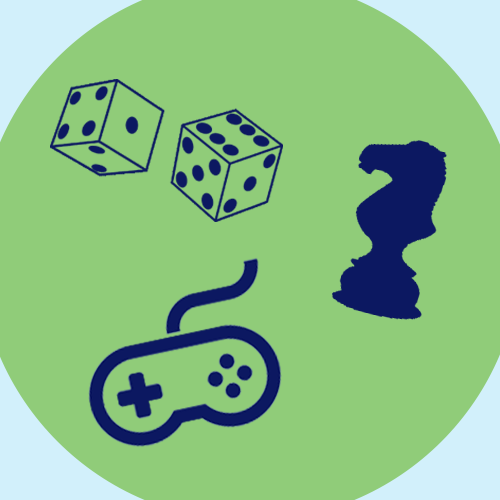 Optimally, each category should have at least five statements associated with it so repeat game play ensures players see a mix of statements each time and not the exact same ones repeatedly. 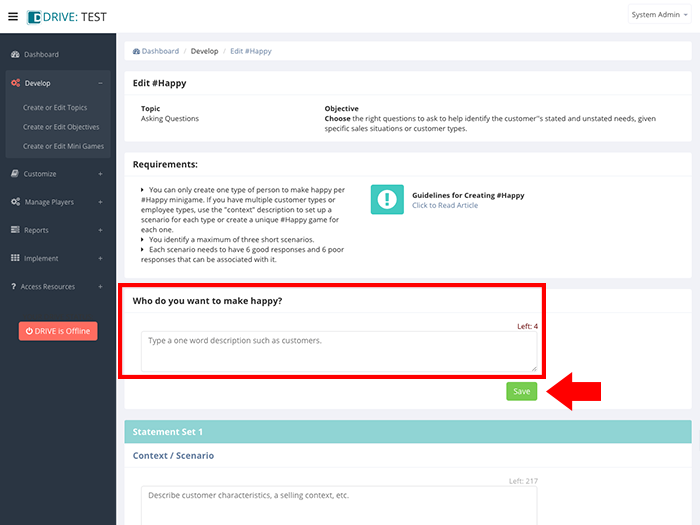 #Happy is a great game for helping sales reps practice choosing appropriate responses to customer questions that are based on their specific needs OR responding to objections they make. 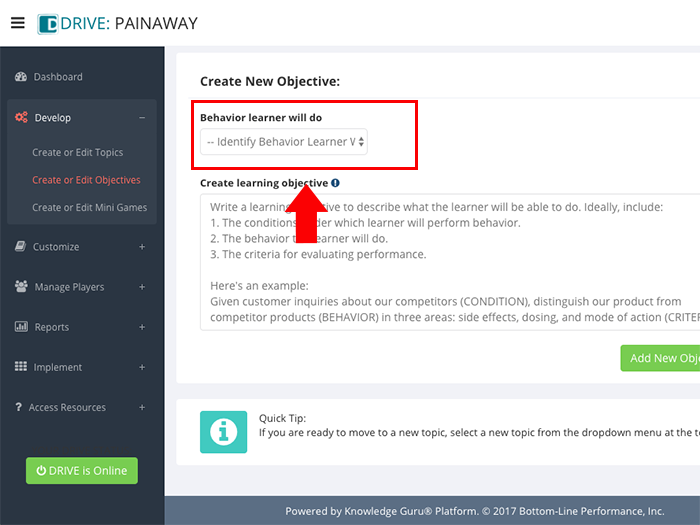 In either type of practice scenario, you will define who the customer is and provide the learner with a specific context. In a single daily play of a #Happy game, learners will receive one context/scenario to resolve and review six possible responses they can make to that scenario. 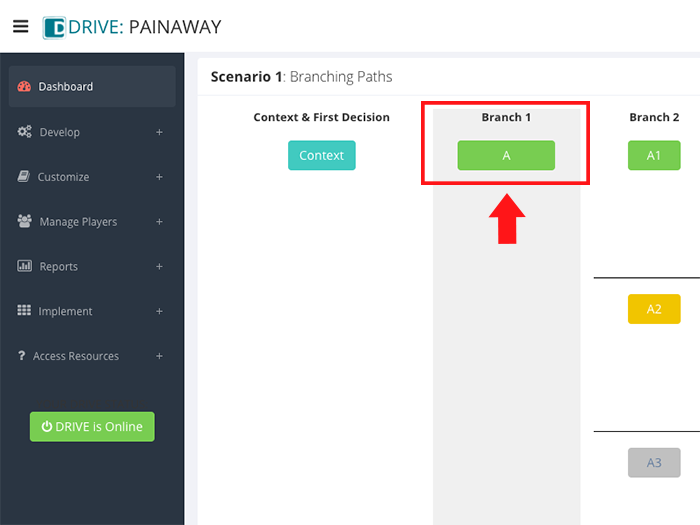 If you have created multiple contexts/scenarios in your game, then learners will need to play through #Happy three times to see all three scenarios. If you included lots of responses for each scenario, then there will be multiple play-throughs to expose them to all possible response options for every context/scenario you have. 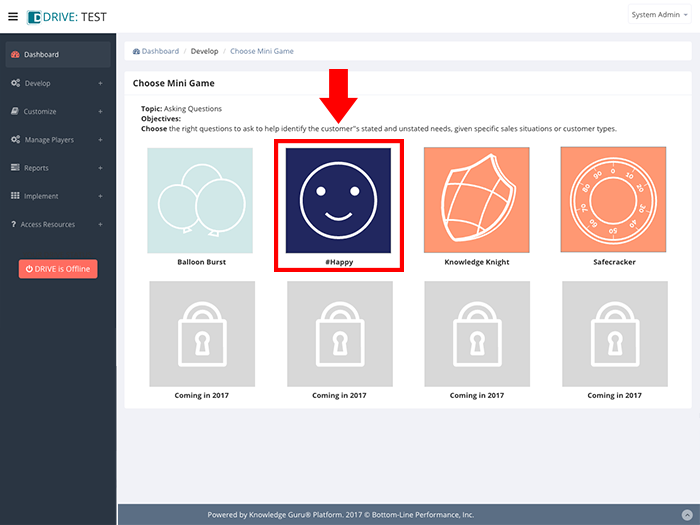 Select the topic and learning objective for which you want to create a #Happy mini-game and click CREATE to launch the #Happy game creation wizard. In the field labeled Who do you want to make happy?, enter a brief one or two-word description of who the learner needs to influence or make happy. Examples: doctors, neurologists, GI specialists, crop dusters, pharmacy directors, hospital administrators, distributors, customers, suppliers, employees, etc. Click SAVE. You must click SAVE after each step to avoid losing data when you leave this screen. Clicking SAVE elsewhere on the screen does not save data entered into this field. 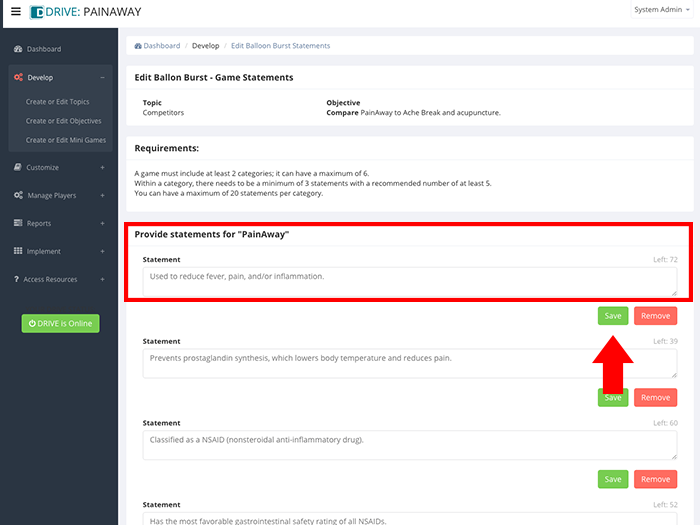 In the field labeled Statement Set 1, enter a specific context or scenario. 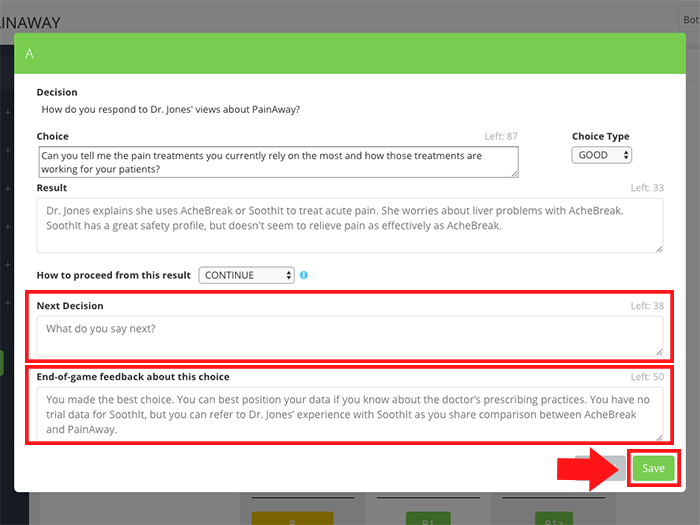 Example: You are meeting with Dr. Jones, a GI specialist. You want to introduce him to bioequivalent biologics as a new therapy option for Crohn’s and IBS that can reduce patient costs for therapy while delivering the same therapeutic benefits as brand biologics. 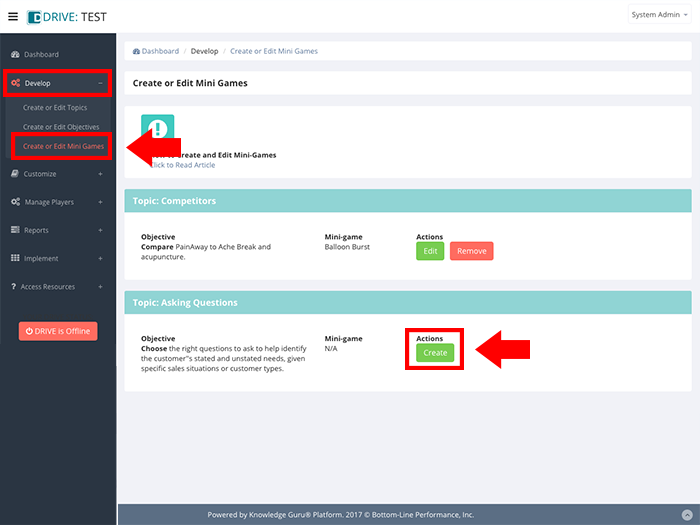 Enter a Starting Statement that provides learners with a prompt that will guide their decision-making in the game. Example: Data on bioequivalency is limited. Your pricing isn’t significantly less than other brands. Why should I consider it? Beneath the heading Good Responses, enter six appropriate responses a learner could make to the Starting Statement. Responses can be in the form of questions or statements. For each appropriate response, use the fields beneath the Feedback heading to enter an explanation of why each response is a good one. When all good responses and feedback are entered, click SAVE. Beneath the heading Bad Responses, enter six inappropriate responses for how players should not respond to the Starting Statement. 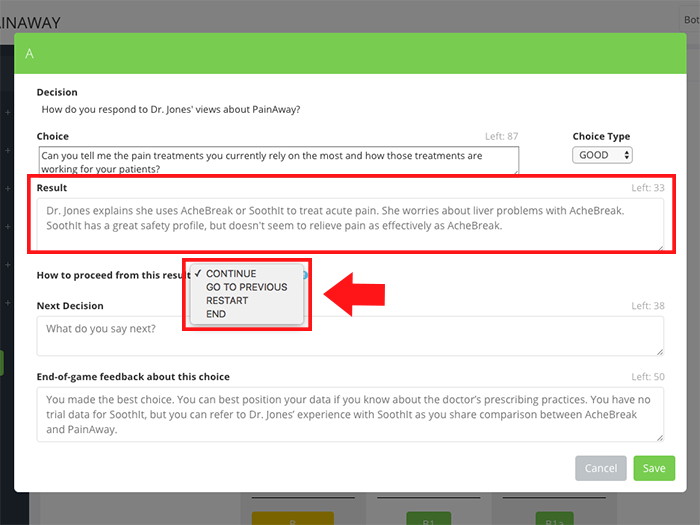 For each bad response, use the fields beneath the Feedback heading to enter an explanation of why each response is a bad one. If you want more than the six statements that are the required minimum for the game, click ADD NEW STATEMENT SET at the bottom right of your screen. 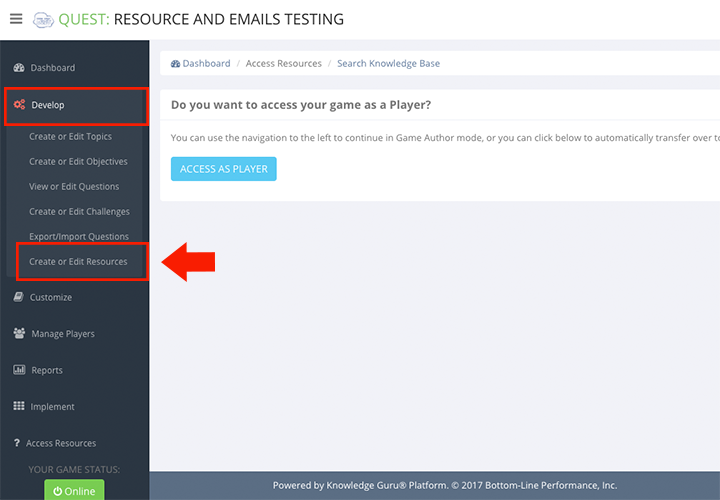 When you finish adding content, preview your game by clicking PREVIEW GAME at the bottom right of your screen. Make sure your context/scenario mirrors the real-world context they have to deal with in their jobs and that it provides cues they need, such as the selling stage they are in or pointers about the status of the relationship with the person they are attempting to influence. Provide a concise, realistic starting statement. Include some “teach” in your feedback to the good and bad responses. Explain why each one is good or bad. Consider going beyond six statements for better re-playability of contexts/scenarios. You can re-word a good or bad response to encourage the learner to focus on the feedback and to prevent them from doing well on future play-throughs because they simply memorized responses. Here’s an example of two ways to phrase a response that achieves the same aim.